There are large number of companies caring for the health of our teeth. However, we have only one confusion, out of these products manufactured by a to z companies, which one is the best? When ‘a’ says that it will strengthen the gums, ‘b’ says it will stop dental caries and ‘c’ comes out showing the bacteria as jumping ‘devils’ and its effective anti-bacterial formula. No doubt, ‘d’ is definitely going to remove the foul smell of the mouth and ‘e’ simply shows you an open mouthed big laugh and ‘f’ has only the world’s ‘best smile’, ‘g’ to ‘z’ will claim to have other different properties. Now, I think that every morning we should use all these, to have all the benefits, as none is avoidable in our daily life. All are gravely important for presenting best of our personality. And of bourse, we will escape from the cultureless, dangerous habit of using neem sticks, mango or guava (peru) leaves or different ‘country’ tooth powders. What is the actual function of the paste in our mouth? Are there deadly bacteria in our mouth generated every day in the morning or after rising from sleep and at night before sleep? 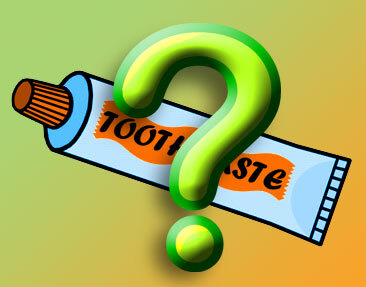 Can the paste stop dental caries or the foul smell of the mouth? Why does the mouth smell bad? Can paste do anything to strengthen our gums? How far paste is relevant in offering beautiful smile or laugh? If at all any bacteria are produced in the mouth, it is produced within last few hours before brushing. They will not be deadly with in that period. They are produced due to local putrefaction of the waste collected in between the teeth after eating. If you remove such waste after every meal by simply washing mouth or cleaning with our pointing finger as usual or with a brush, the problem does not remain. Even if not removed effectively, there is no possibility of an immediate danger. The companies are exaggerating the situation and taking undue advantage of our fear of ill-health. I do not understand how any paste can stop dental caries? It is due to metabolic defect related to vitamin-D and deficiency of Calcium. Do these pastes replace them. Are we also supposed to eat the paste? If it is due to the poor bacteria, we will plan how to remove them without using these pastes. How many people enjoy the smell of other’s mouth immediately after using paste? Is it not annoying too? Why does the mouth smell bad? Foul smell is mainly not only due to problem of mouth. It is the result of putrefaction of food in the stomach and intestines due to indigestion and improper evacuation. What the paste can do about this? Do we have to eat them so that it will go inside and kill the bacteria within? I, also do not understand how a paste can strengthen the gums? It is the reflection of general health and if the gums are not strong, then it has to be done by improving the total health with specific treatments for the gums, like massage, hot and cold gargling saline wash etc. Paste cannot do anything in this area. Does paste go deep into our mind to produce a beautiful smile or laugh? The literate and the illiterate are so foolish to fall prey to this kind of wicked advertisements. After all, what we need is to remove the waste after eating, deposited in between the teeth and the stickiness over the teeth after rising from sleep. Just for this, crores and crores of rupees are spent on advertisement and we are taxed for this only to increase the number of Dental Care Centres and Dentists !! Let the contribution of the toothpastes in arresting the dental problems be certified by WHO. To remove the dirt in between the teeth you need some kind of brush, hence it is advisable to brush the teeth. There comes the use of neem stick, locally available, inexpensive, with its well known germicidal effect. To remove the stickiness on the teeth, you only need to use leaf of mango tree, guava tree, or any so called natural ‘country’ tooth powder and not any poisonous chemicals. Cost of living will be cut down to 1 % or zero in regards to teeth care. Now you decide whether to beat the drums so loud against the poor bacteria in the mouth or not? Instead of asking the question whether to use ‘a’ to ‘z’ paste, you should ask, ‘Why to have any of them?’.